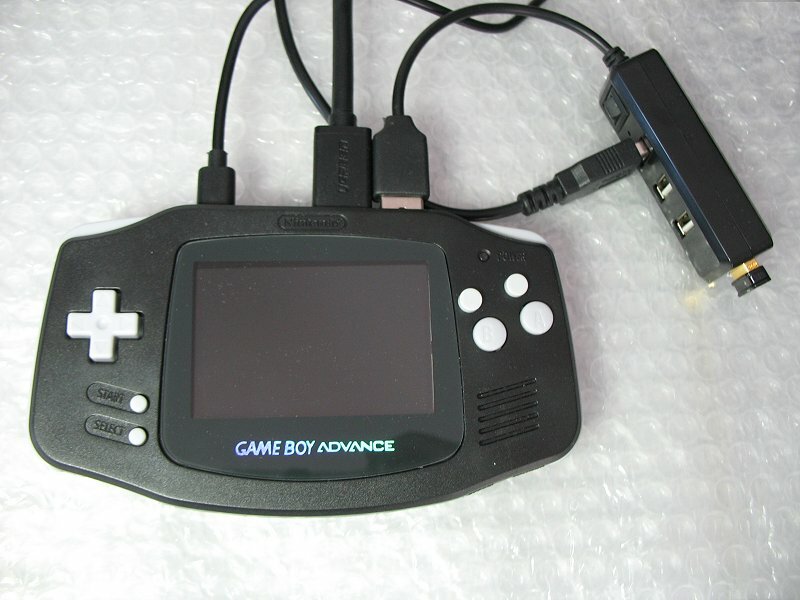 Freeplay CM3 GBA clone Kit. Yes, and after control I can confirm that the actual version in Recalbox is 4.9.4 A and seems to work with PIx GPIO connections to controller. So there should be a solution. Its basically a C Program loaded as object in run-time by the kernel. Problem also, map=4 seams strange to me. I think @LumberJack could help here, because he is the keeper of mk_arcade_joystick_rpi.ko. With my basic knowledge of Linux, I am hanging, but I believe that it is before all a configuration problem. And exactly when I was writing, I have some reactions on the GBA buttons ! Some wrong but it begins to work, yeah ! The apple is near. But I dont arrive to register in /dev/input/js0. Recalbox dies with kernel panic, this should be an issue in Recalbox. So, my only chance, I think, to redefine it under map=1. That's it for the moment. it's the best one ever, trust me. You just need ot learn how to use it. So quick ? Thanks alot for your work, I will give feedback in short. Described in github is mk_arcade_joystick.conf, but it seems that mk_arcade_joystick_rpi.conf is the good one, as what you read in the web. Logical, no ? Some more small info. If I put him map=1 (I suppose same with 1,2) in recalbox.conf, the driver is loaded correctly as with the version before and also same behavior. Hi, I just made some tests. So if I define in recalbox.conf map=5, he just dont load mk_arcade_joystick_rpi.ok and if I put there map=1, he load object but also with the standard gpio definition. I tried with and without map=5, but perhaps I made a mistake here ? Anyway recalbox.conf seems to have bigger influence, as with map=5 there, he even dont load the object. With PiGRRL the problem of the custom GPIO may also exist.